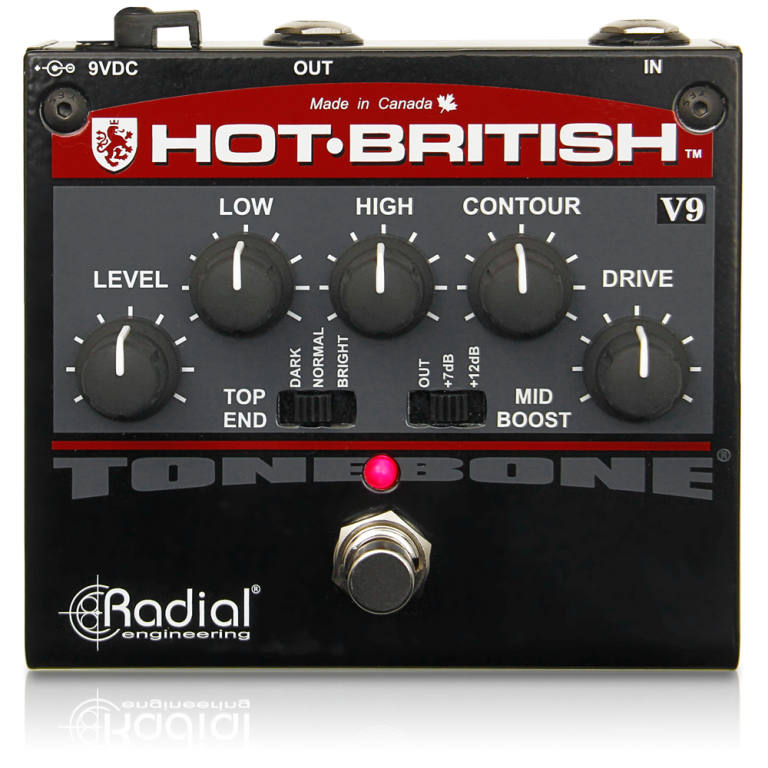 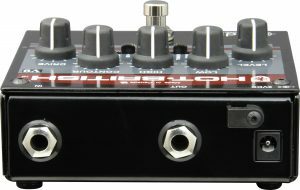 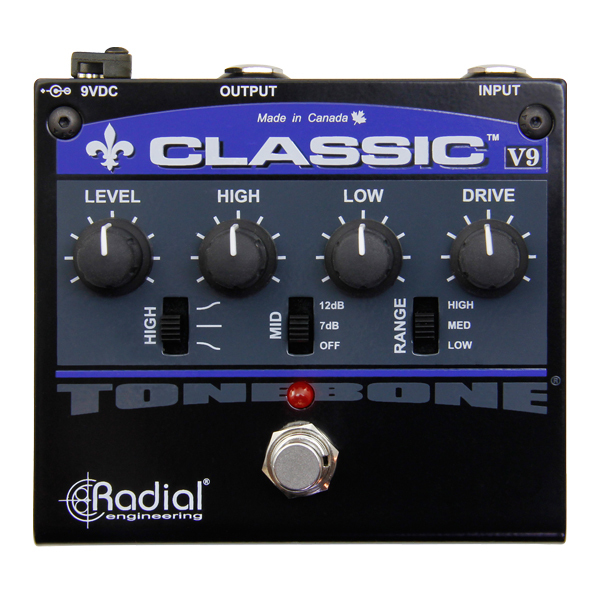 Beginning with a class-A buffering circuit, The Hot-British V9 gives you the feel of a true-bypass pedal with the added benefits of greater noise rejection and lower impedance. 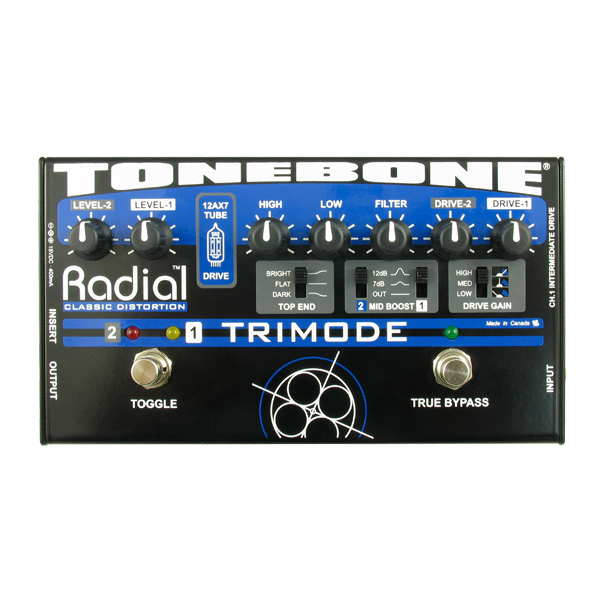 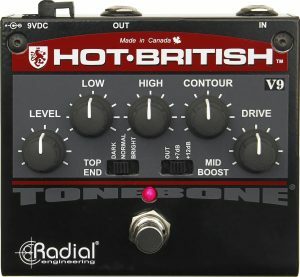 Its 3 gain stages and powerful post-distortion EQ controls deliver a flexible high gain experience that is reminiscent of big hair and pointy guitars. 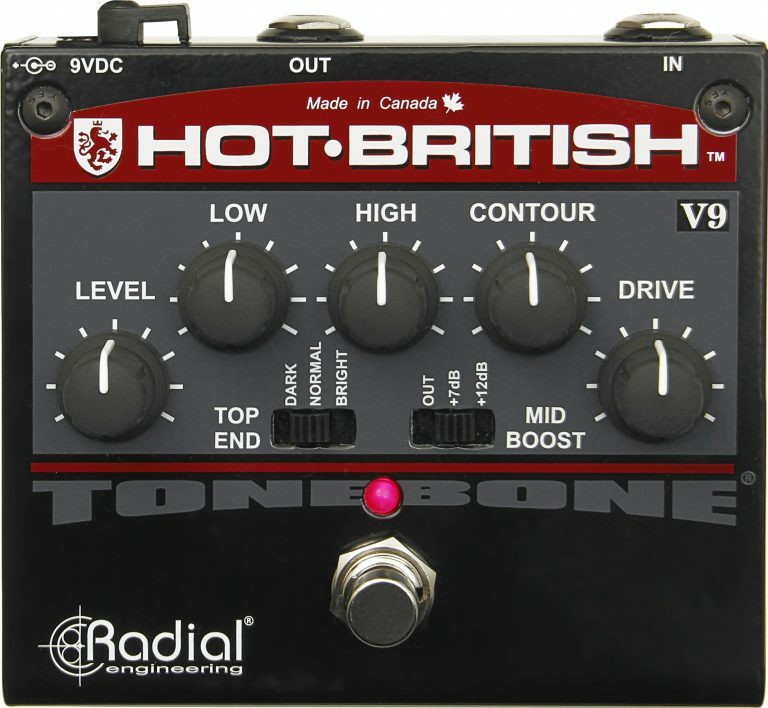 In other words, the Hot-British V9 is a Plexi-in-a-box packed full of harmonics, sustain and balls to the wall distortion. Grab your whammy bar! 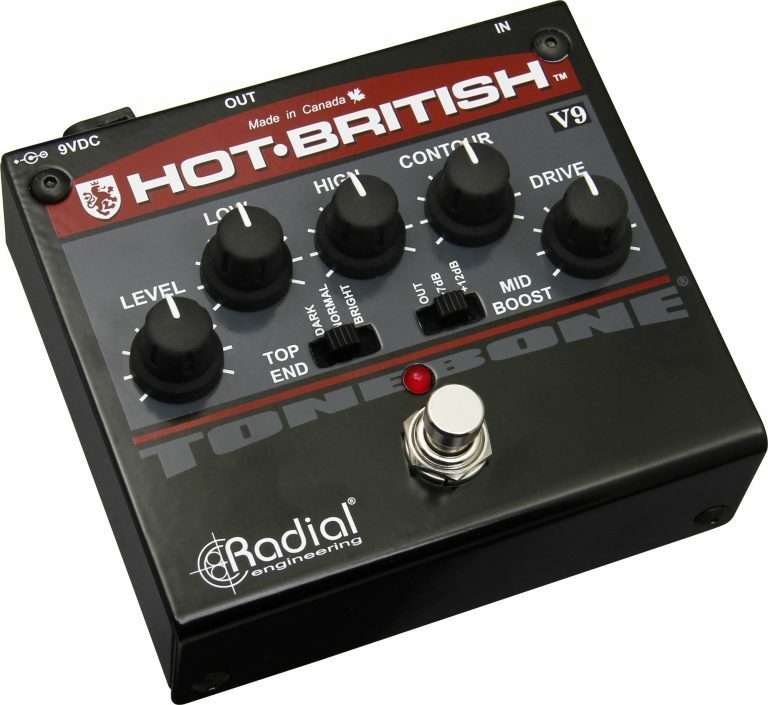 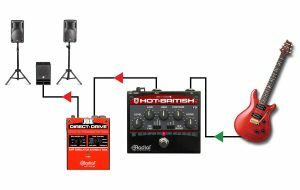 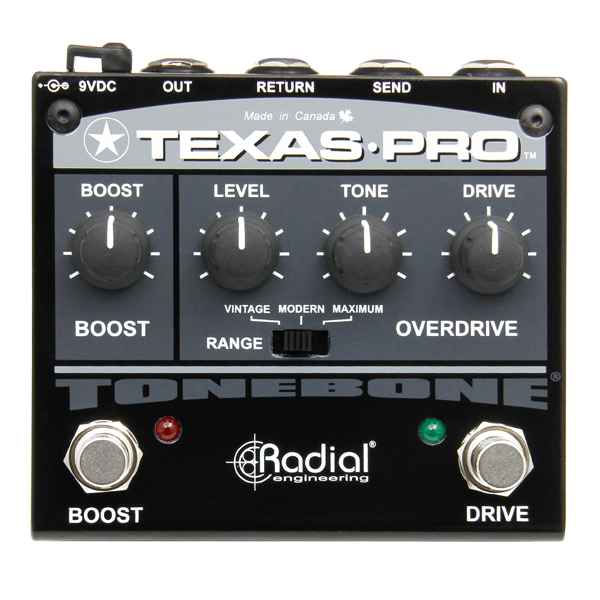 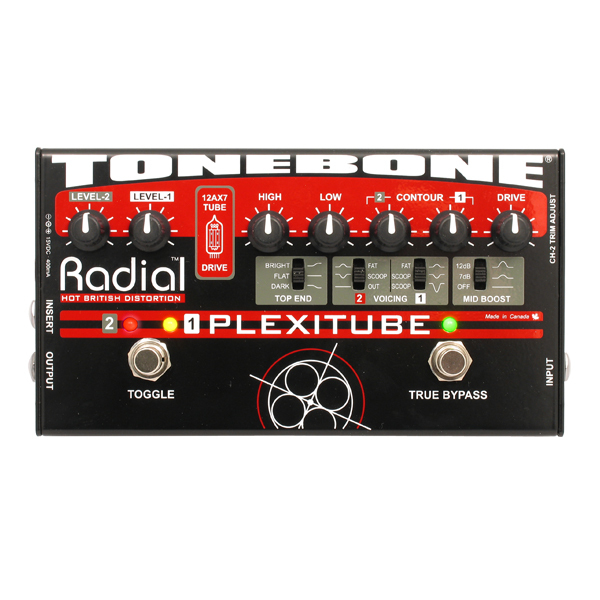 Pair the Hot-British V9 with the JDX Direct-Drive™ to connect directly to the PA while retaining the same tone and feel of having an amp on stage. The Direct-Drive provides amp simulation modeled after the sound of a dynamic mic on a 4x12 cabinet. 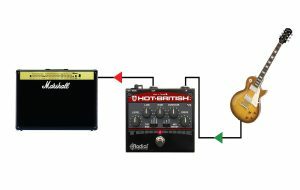 Pair the Hot-British with your favorite amp, adjust the distortion from slight to extreme, and use the EQ controls to match the tone to your guitar and playing style. 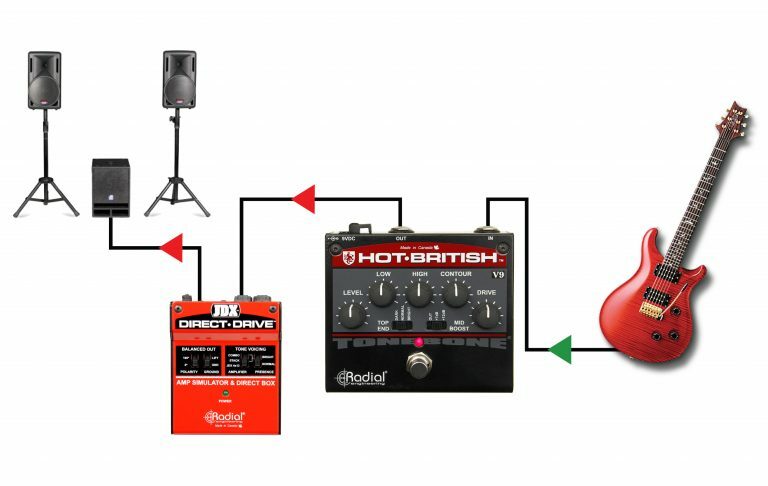 "It's a versatile pedal with the potential for violence, but its strength lies in its portability and willingness to help you get what you need out of mystery backlines. 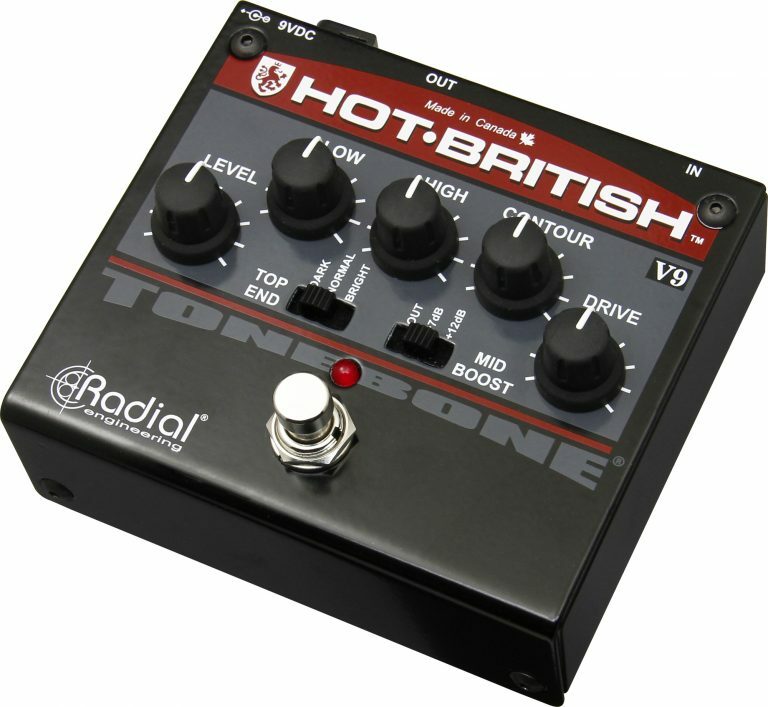 In other words, it's a great travelling companion."